William John Boyer married Margaret Marshall Rigby in Winnipeg on 23 July 1908. I have a brief report from the Manitoba Free Press of 25 July 1908. Margaret died in Winnipeg on 30 June 1927, described as wife of W J Boyer, 666 Beverley Street. I have two items from the Manitoba Free Press, one announcing the death and the other giving the time and place of the funeral. I would like to find out a bit more about him - where and when born, when and where died, and so on. 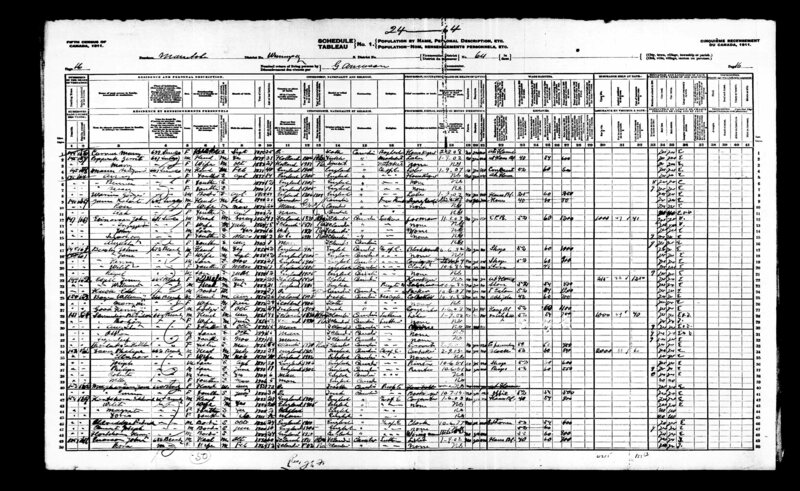 I cannot find the couple in the 1911 census, however. I see him on a ship manifest having visited Ireland aged 57 and then returns to Canada on 31 October 1930. On the manifest it cites (as he enters back into Canada) that he has lived in Winnipeg, Canada previously between 1903 and Dec 1929. He was born in Ringabella, County Cork, Ireland. He was travelling by himself. Hope this helps. In Canada between 1903 - ? The address is the same as the 1916.